What's the difference between Hard Type UV Resin and Soft Type UV Resin? 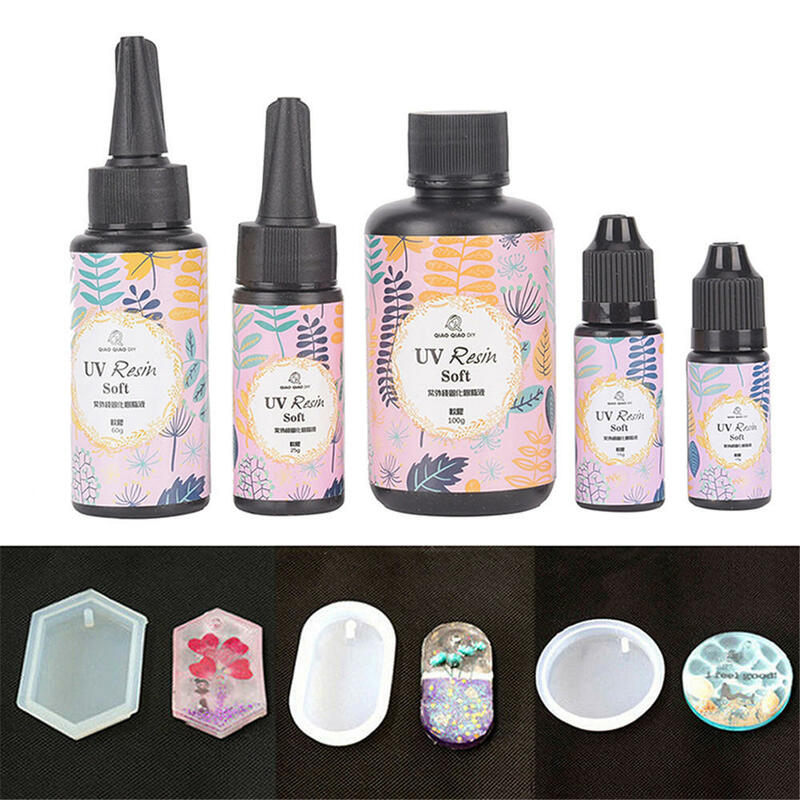 ● Hard Type UV Resin, is as bright and hard as jewel after curing, and has a beautiful curve, suitable for making small size ornaments, necklaces, bracelets, pendants, bracelets, rings and so on. ● Soft Type UV Resin, which can be bent up to 180 degrees after curing, can make large size modules without causing shrinkage and warping edges, perfect for making mobile phone shell, fabric crafts, handmade jewelry. ● Transparent soft type uv resin, can be mixed with pigment for matching your favortie color. ● Cured with UV light lamp or strong sunlight, couldn' be mixed with AB epoxy resin glue. ● High ratio of curing speed, easy to use, no shrinkage, can be bent up to 180° after curing. ● Suitable for making large size mold, mobile phone shell, fabric crafts, handmade jewelry, will not cause shrinkage. 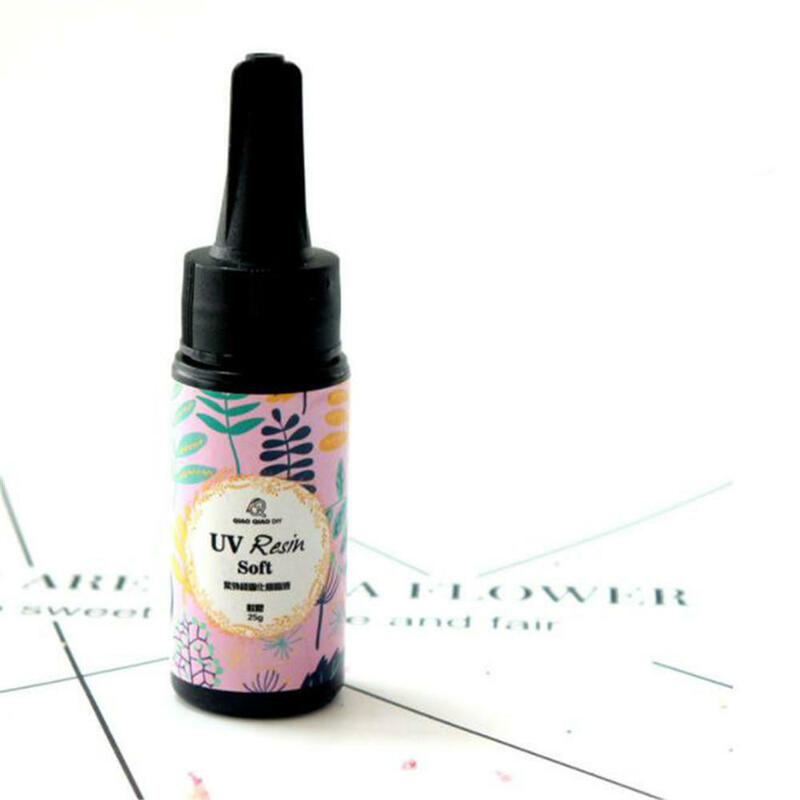 ● Can be mixed with hard type UV resin, adjust the mix ratio to get different hardness as you want. UV torch / UV lamp: 1-2 minutes, the strongest the UV light, the shorter the curing time.